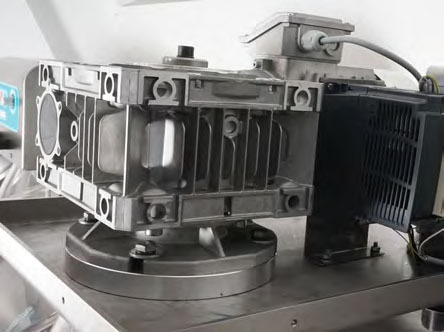 1 motor: paddle, bowl pushed by inertia, unidirectional mixing. 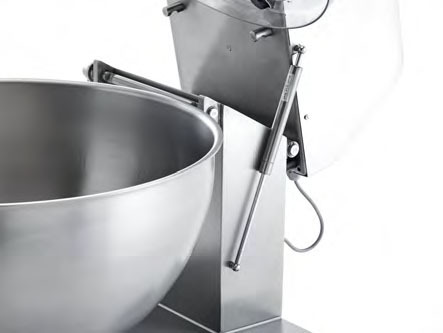 2 motors: paddle and bowl, bidirectional mixing. 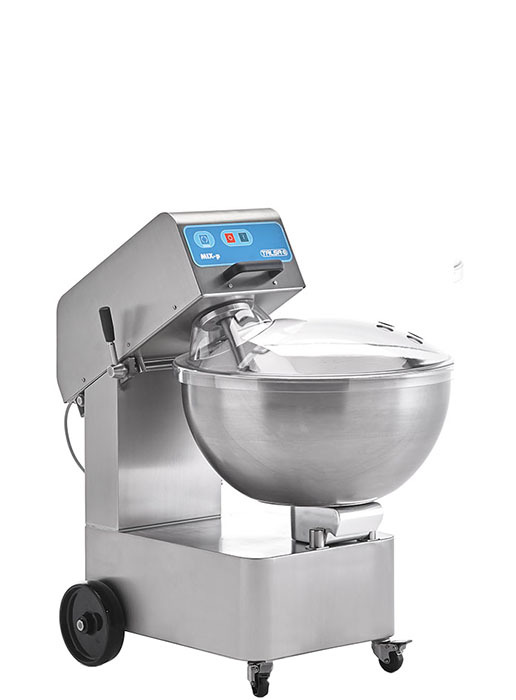 2 motors: paddle and bowl, bidirectional mixing, variable paddle speed. Reinforced, all stainless steel AISI304 construction. 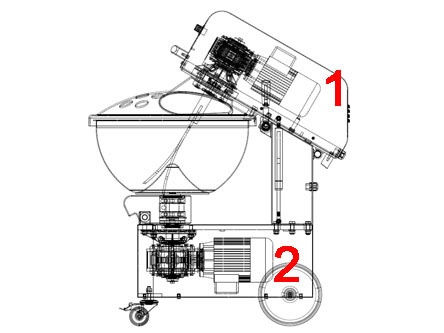 Pneumatically assisted rising of the motor-head for eﬀortless elevation and lowering. 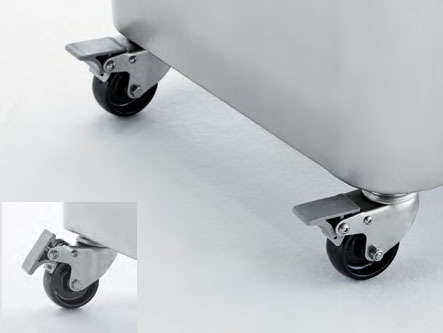 Two s/s swivel casters with brake and two ﬁxed ones for easy movement. Food approved plastic lid with holes for addition. 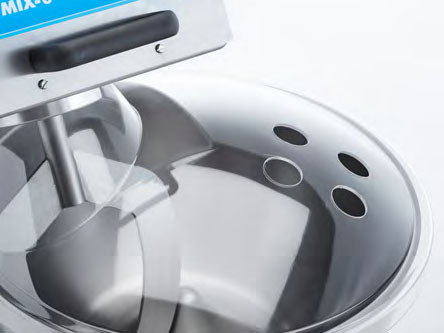 Avoids contact of the operator with the paddle and prevents external contamination. 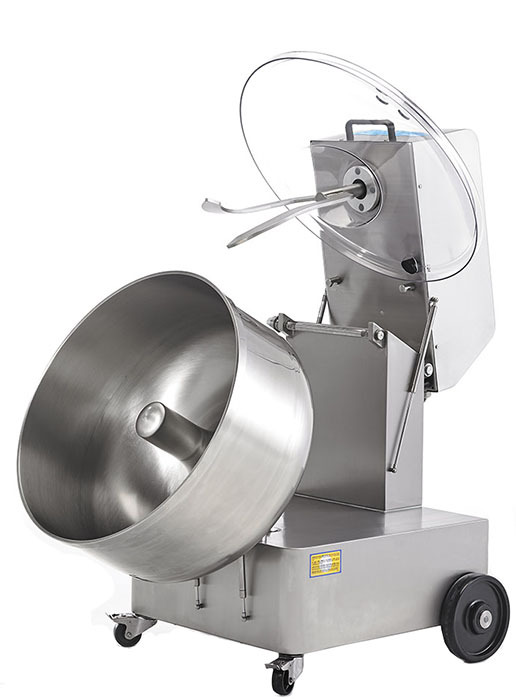 Powerful motors and strong gearboxes to easily mix even compact and cold mixtures. 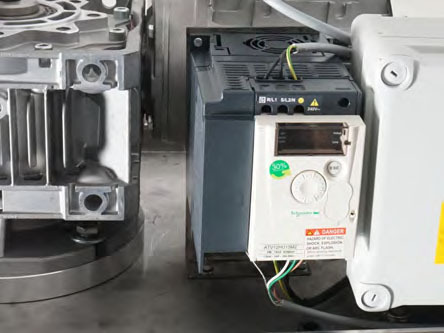 3-Phase motors with double voltage (permits changing the voltage). 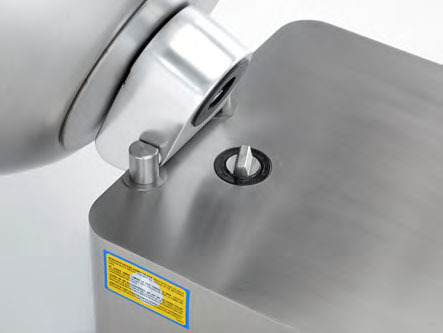 Automatic stop when lifting the motor head. Sealed & secure low voltage electric switchboxes. 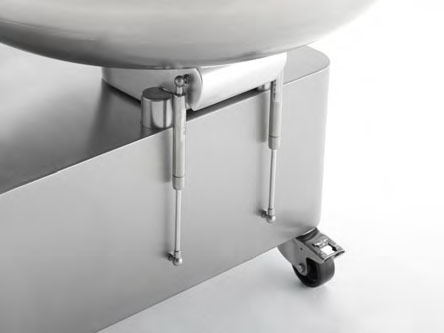 Hermetically closed machine base prevents intrusion of water or dirt. Easy cleaning due to the absence of hard to reach corners. Bowl and paddle are folding to ease unloading and cleaning. 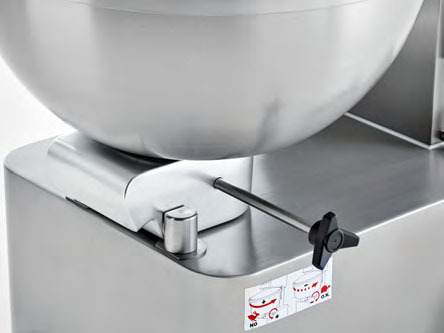 Hygienic control panel, IP55, with membrane push-buttons. Forward/reverse rotation of paddle and bowl. 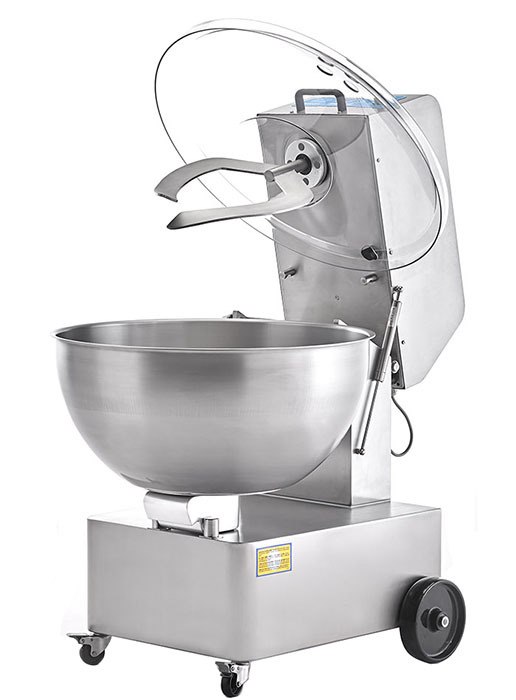 The ability to mix in both directions provides more homogenous mix even with small quantities and reduces mixing time. Variable paddle speed, controled by a potentiometer on the control panel. 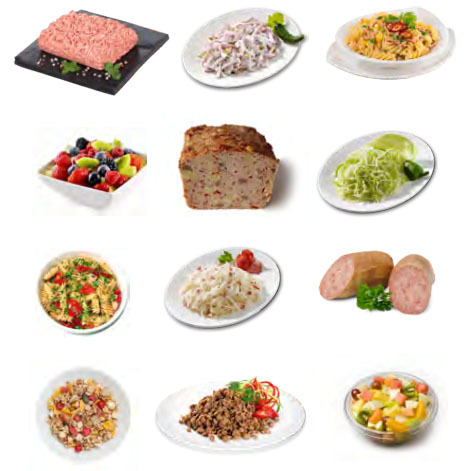 Even more versatile. 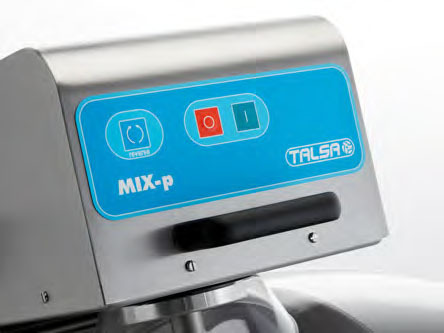 TALSA’s Soft Mixing System with the exclusive dual-armed paddle provides improved mixing results and reduced mixing time. 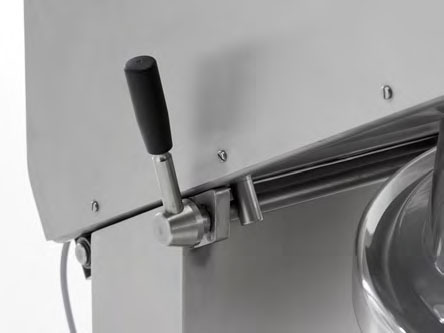 While one paddle arm stirs the product from the bottom to the top of the bowl, the other paddle arm simultaneously stirs it from the top to the bottom. 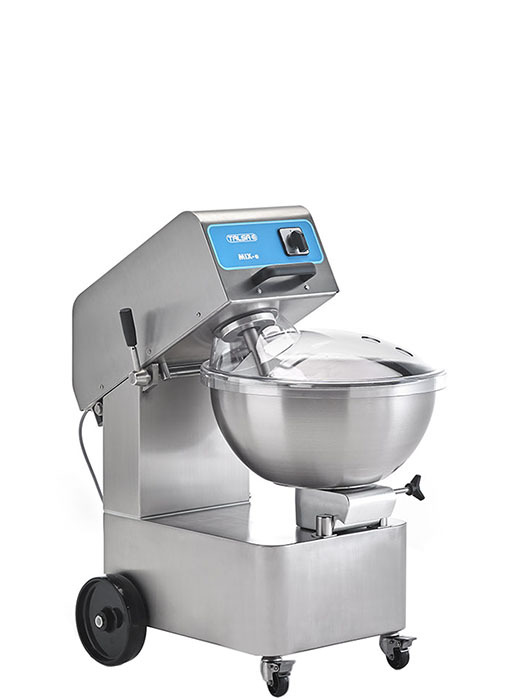 This double action cuts mixing time by half. 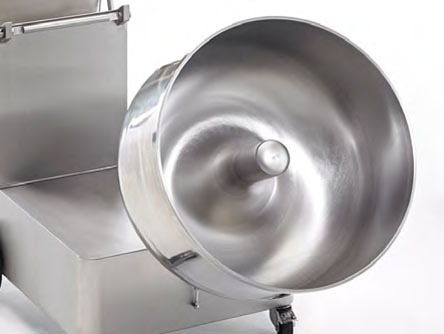 Best kneading with new spherical bowl and new blade angle and shape designed in collaboration with the Fluid Department of the Polytechnic University of Valencia (UPV). Fully 3D computer modeling designed.